The GSL is a highly efficient canopy luminaire designed for typical canopy steel pan structures. It is suitable for most gas station canopy applications. The GSL features high performance LED technology, with efficacies over 140 lumens per watt. The housing of the GSL is made of die cast aluminum, and features a textured powder coat finish over a chromate conversion coating. The flat glass lens is tempered glass. 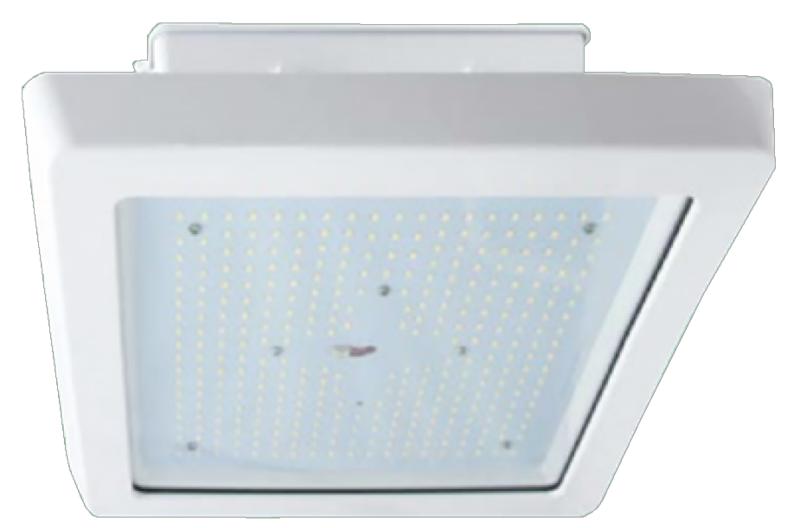 The housing is designed to emulate legacy HID canopy lights that mount through a 4" minimum diameter cut hole in the canopy. A galvanized steel back plate is provided to allow for installation over larger holes. Certifications: CSA listed for wet locations (damp locations when used with quick mount bracket). IP66 rated.